Download Smith Tobiaz – “More Grace” (Iyelele) mp3 now. 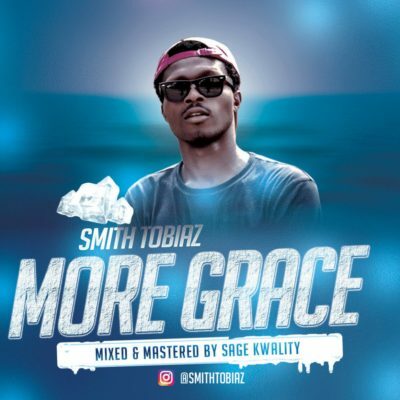 Listen & Download Smith Tobiaz – “More Grace” (Iyelele) as it is hotly served. Download Music MP3 Smith Tobiaz – “More Grace” (Iyelele) right here. Shortly after the release of the Munee produced tune titled “Love U”; Port Harcourt breed – Smith Tobiaz, divulges yet another tune into the Afro scene. Channeling every ounce of his energy to positivity, Tobiaz, dubs this new one “More Grace“. The song subtitled “Iyelele” is a snippet to what the uprising act has in store for his still growing fanbase in 2019. Enjoyable tune, mixed and mastered by Sage Kwality. NB: Please be aware that Smith Tobiaz – “More Grace” (Iyelele) is hosted outside this particular website as we host NO file. In case of any copyearight claim and request for take down, kindly use our 'contact us' page to put a notice across.